The Bolivian population is estimated to be around 11 million inhabitants. Bolivia is a multiethnic country. The majority are Native South American (Amerindians) and mixed Native American and European ancestry (Mestizos), but minorities like Europeans, Asians, and Africans are also found. The Indigenous Bolivians, also known as the Amerindians, is an ethnic group of predominant Native American Ancestry. 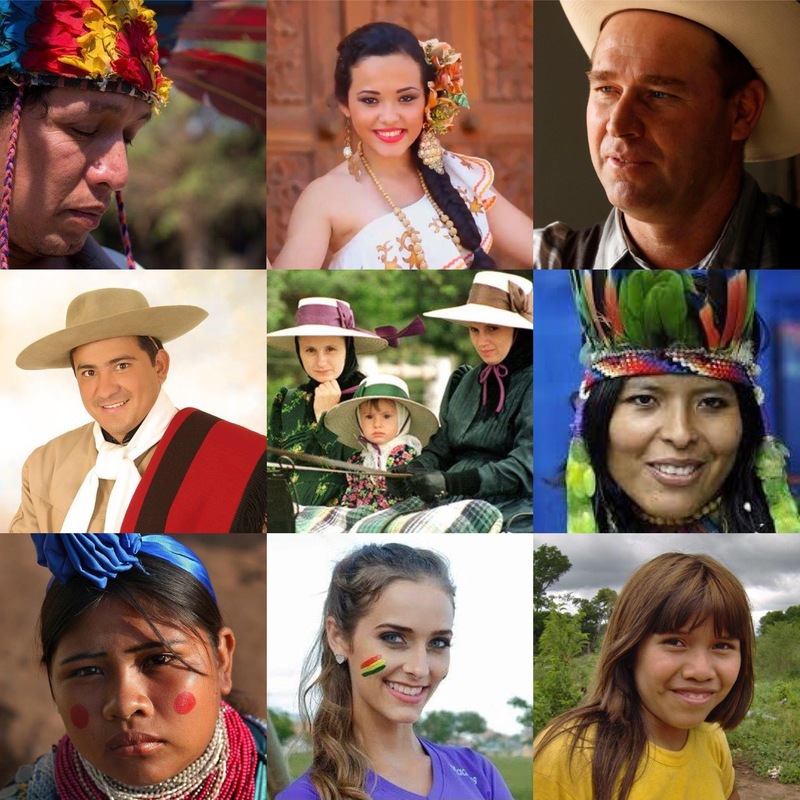 It is composed of descendants of the pre-Colombian era before the invasion of European influences in Latin America they include the Andeans like the Aymaras and Quechuas, who are the indigenous people of most South American countries. 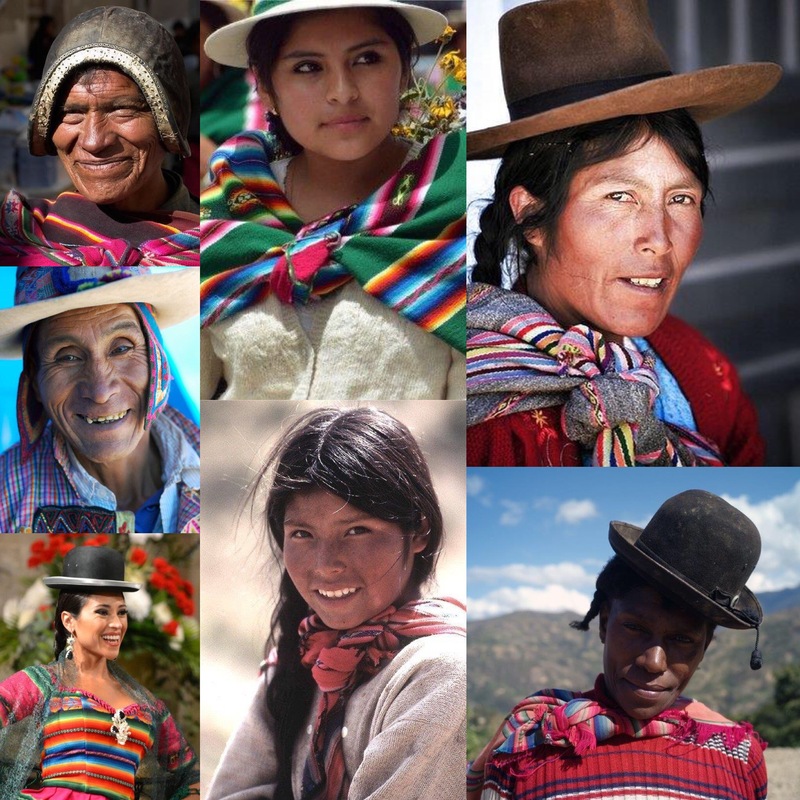 The indigenous Bolivians constitute 20% of the entire Bolivian population and are found, mostly in the Andes region and the western departments of La Paz, Potosi, Oruro, Cochabamba, and Chuquisaca. Other small indigenous groups can be found in the Santa Cruz, Beni, Tarija, and Pando departments. The Mestizos are the mixed Native Americans and European Ancestry. The term was introduced during the Spanish empire’s control of various colonies. Mestizos constitute 70% of the Bolivian population making it the dominant ethnic group in the country. The White Bolivians are the Bolivians with a European ancestry and constitute 5% of the Bolivian population. Most of white Bolivians are the descendants of Criollos of the Spanish descend as well as the Europeans or Arabs mainly from Spain, Germany, Italy, Turkey, Lebanon, and Croatia. They are mainly found in the largest cities and major towns in Bolivia like Santa Cruz and La Paz. The Black Bolivians, also known as Afro-Bolivians, are Bolivians of predominantly African Ancestry. They are mainly the descendants of African Slaves who were brought into Bolivia during the Spanish Empire. They are a minority group constituting only 1% of the Bolivian population and are mainly found in the Department of La Paz in the Nor Yungas and Sud Yungas provinces. The Bolivian Mennonites (known locally as Los Menonos) are an interesting group, dedicated to their unique way of life, and largely keeping to themselves. Mennonites are a reclusive and insular sect of Christians who don’t participate in politics or much of contemporary society, eschewing modern conveniences like electricity and cars. they have their own schools and shops. You can compare them to the Amish colonies in North America. There are at least 75 Mennonite communities in Bolivia, mostly in Santa Cruz. Visiting one of these colonies is like taking a step back in time. Their origins stretch back to 16th century Germany and the Netherlands. They speak an old dialect of German from Saxony and the Netherlands. Though they are German in ancestry, language and custom, these Mennonites immigrated from the Russian Empire and West Prussia to Canada in the 18th and 19th centuries and then to northern Mexico in the 1920s; from Mexico, then, slowly to Bolivia. There are several other minority ethnic groups in Bolivia which constitute up to 4% of the Bolivian population. These groups include the Japanese (in colonies Okinawa in the Santa Cruz region), Chinese, Koreans, Lebanese, Jews among others. They are mainly found in La Paz, El Alto, and Santa Cruz de la Sierra.